To reduce size, and cost, Transformer less power supply is now used. If it is a well regulated SMPS power supply, output will be stable. But simple Transformer less power supply is not ideal for many circuits as observed in my experience. I have designed different types of Transformer less power supply but none of them is showing good performance. 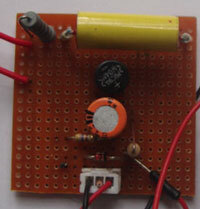 It can be used to power simple circuits like LED lighting. If sensitive semiconductors are present in the circuit, this kind of power supply creates many problems including erratic response. This is very high in sensor based circuits and oscillators. So to get a perfect output voltage, it is ideal to use a Transformer based power supply or SMPS. These are the problems I noticed in the Transformer less power supply.